Has anybody else ever read this book? I read it when I was a kid and loved it. Then I re-read it when I was 17 and loved it. Then just a few weeks ago it popped into my head and now I've ordered it from Amazon. I've been eagerly awaiting it's arrival- I'm hoping in time for me to read before Christmas. It's hilarious and a book that both kids and grownups will equally enjoy. So if you've read it please leave a comment and let me know so we can gush about it together! haha, yes! 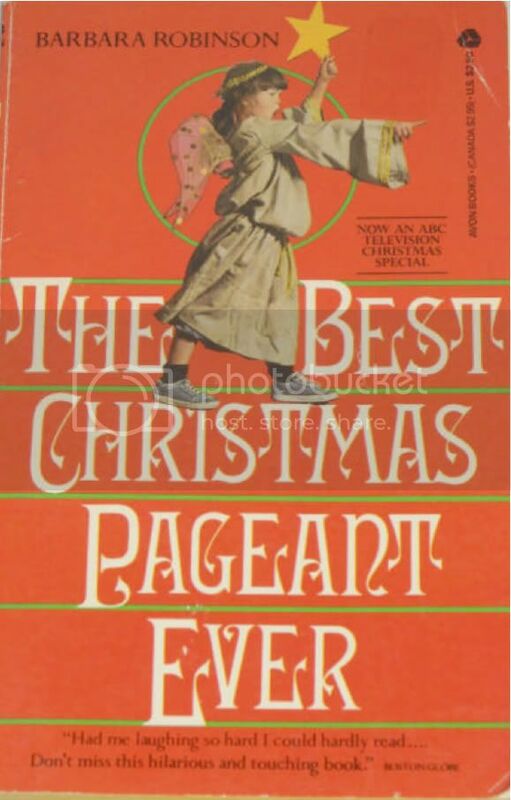 we used to read it at grandma's house every year. so great! and i think my grandparent's have the same cover on their book too. :) merry christmas!! Oh do I ever heart the horrible Herdmans and that sweet big sister crying during the manger scene holding little baby Jesus... Thanks for the reminder of a childhood fav. Have never heard of it but it looks hilarious! yup. one of my all time favorites. we used to read it every year when i was a kid! I totally forgot about this book-I loved it too! Of course I have my own copy! I bought one when I was teaching and read it to the 3rd graders! I can't wait to start reading it to the girls. Thanks for reminding me. I might read it this week. What teacher read it to us? Someone did right?